We know that you can’t always be at your TV in time for the daily episodes of PBS NewsHour. That’s why CET and ThinkTV are pleased to continue to provide our live-stream of PBS NewsHour online at www.cetconnect.org/newshour/ and www.thinktv.org/newshour/. Millions of Americans and citizens of the world have turned to the PBS NewsHour over the last 35 years for the solid, reliable reporting that has made it one of the most trusted news programs on television. NewsHour has won multiple Peabody Awards and a slew of Emmy Awards over the years. 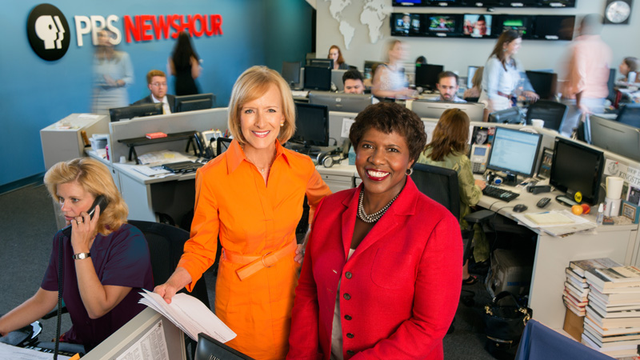 Last year alone, Gwen Ifill was recognized with the Al Neuharth Award for Excellence in Journalism, Jeffrey Brown earned a Webby Award, Rebecca Johnson was recognized with the Michael E. DeBakey Journalism Award in the Online Category, and the NewsHour program itself was nominated for four News and Documentary Emmy Awards.